Juicing: Is it Worth the Squeeze? So we all know about the latest food fad, or at least the most prominent one right now; people are drinking their produce instead of eating it. For many out there this probably just sounds like throwing a bunch of random fruits and vegetables (don’t forget the kale) into a juicer and hoping that the end result is something remnant of a Keva Juice smoothie. Of course, this is not the case. We are talking about strictly the juices here people, no blending, and no bulk. There are a number of reasons you may be thinking about taking the plunge into liquid meals; maybe you want to jump start or complement a new diet, maybe this is an easier way for you to get your daily intake of vegetables and fruit, or maybe you just like the idea of drinking freshly squeezed juices from your favorite produce. Whatever the reason may be, you should definitely know what you’re getting yourself into. The question that comes to mind is: is it really worth the effort? You do have to wonder how much your body really benefits from only drinking the nutrients, rather than consuming the whole fruit or vegetable (thus leaving the fiber out, which is what makes you feel full and moves your digestive tract along more smoothly). We will explore that here; we’ll go over what to expect as you start to juice, the effects it has on your body, when you should actually juice, and we’ll give you some good fruits and vegetables to try if you are convinced at the end that the juice indeed is worth the squeeze. 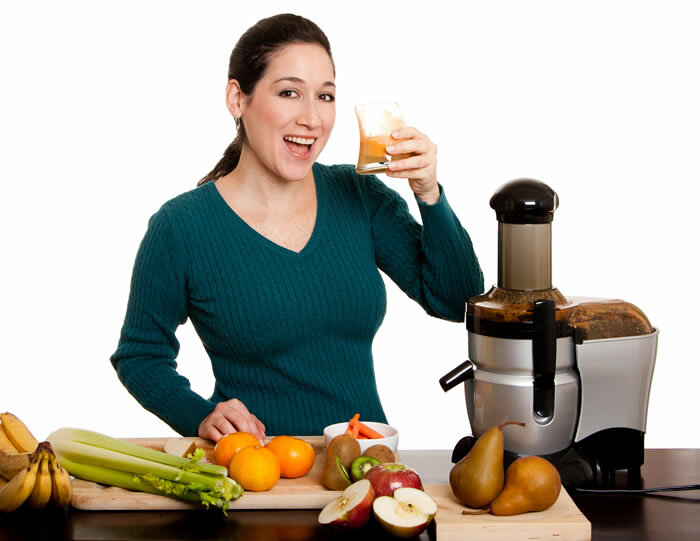 So you have your juicer/ your quietest personal blender, you have your produce, and your are ready to drink. One of the first things you must absolutely have a good grasp on before shocking your system with juicing is what state your health is currently in. One of the largest concerns here is for those who are at risk for diabetes. This is because real fruit juice causes spikes in blood sugar when consumed. In contrast, when digesting a full piece of fruit that process is slower than when consumed through juicing. This can be avoided too by consuming vegetable juices rather than fruit. However, if you are generally a healthy person, this should not concern you. Another thing you should be prepared for as you start this are the actual changes that are going to happen to your body as you change your diet. 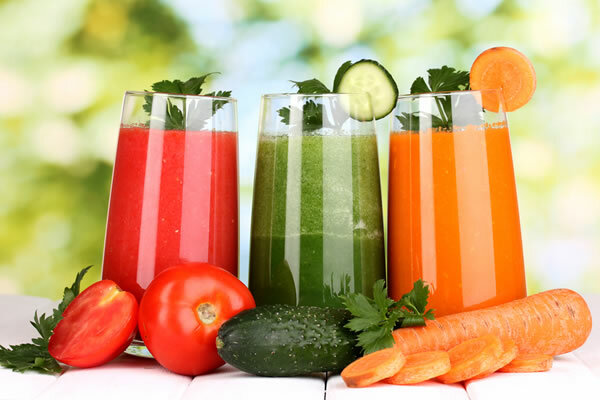 As you start consuming more quality foods through the juicing, your body will start to get rid of the unhealthy tissues in your body and replacing them with new and healthier tissues. Some discomfort can occur during this process. If you have ever done a detox before, you know exactly what we’re in reference to. It’s like a less intense equivalent your body having withdrawals. Your body was used to the unhealthy foods you were once eating, or maybe the coffee you were drinking in the morning, whatever it was you are cutting out. Now that you are removing them your body craves them. As those bad tissues and toxins start to exit your body, it causes irritation, and sometimes light feelings of pain. So what is happening inside your body? Well for starters, those light feelings of pain you may be feeling are completely normal, at the start at least. The symptoms can range from a slight headache, weak limbs, and other such aches. You may also be experiencing lethargy; your body is not used to the smaller intake of food just yet, so the breaking down of the energy is done much quicker than it was before. Your body has to balance itself with this new diet. When you feel these symptoms, keep in mind that it is a temporary sensation. Your body is going through a regeneration process, and it can take a couple weeks or so for your body to be rid of the toxic stuff. Your body is making itself healthier now that you are keeping the bad (or at least a good amount of it) out. Don’t think of this as a detox necessarily, this reaction is happening because you have introduced those healthy foods into your body, and it must adjust. When is the best time for me to juice? Well, many people like to replace their breakfast with juice or maybe as a snack in the middle of the day to get through a hunger pang or get a little bit of energy. Really, the best time to juice are the times your stomach is empty. So sure, breakfast time is rather ideal. It is good to do it on an empty stomach because your stomach is ready to absorb anything you put into it, thus getting those nutrients absorbed into your system much quicker. Starting your day with the juice will provide a decent amount of complex carbohydrates which give you energy; the sugar in the morning is not harmful, when you think about the sugary meal you would have maybe eaten, of the sugar in the coffee you drink, it’s not bad in comparison at all. However, if you want to have juice later on in the day maybe do a green juice, or a mixture between the two (less sugars). What are some good fruits and vegetables for me to try out? Well, when you first start juicing, you should start with what you know or what you’re comfortable with, but more importantly, what you actually like to eat. We don’t expect just anyone to start juicing a piece of kale and actually find it to be palatable (because lets be honest, kale isn’t an especially good tasting green, no matter how good it is for you). That being said, one thing you will need to get used to, if you choose to juice your way through your days, is consuming green juices. They are heavy in nutrients and are much better for you than fruits individually. The good news here is that those greens you may be dreading can taste super good when combined with the right fruit(s). Start with apples, oranges, strawberries, and even carrots. They are easy on your stomach (not very acidic) and mix well with other fruits and veggies. From here is where you can introduce the vegetables and greens that are going to really make the difference in your health. Maybe start with cucumber or spinach as you begin to introduce the veggies; these are light and really don’t add a whole lot of flavor to the overall result. Then, work your way up to the more intense greens like broccoli, cabbage, and yes, kale. To add a bit of flavor, adding lemon juice to the mix is always a good idea. It is great for taste and it is a superfood that will help detoxify your system and increase the rate of absorption of nutrients. You can also add essential oils and vitamins to your juice to really boost things up. So, in the end it may sound like a daunting task to actually become a juicer. You not only have to buy a juicer to do it properly (which can be costly in some cases), but there are specific ways of going about it, certain combinations that are better and more nutritious than others, and it altogether is a change in lifestyle. That all aside, it is all for the greater good and benefit of your health right? So, what will it be? To juice, or not to juice?